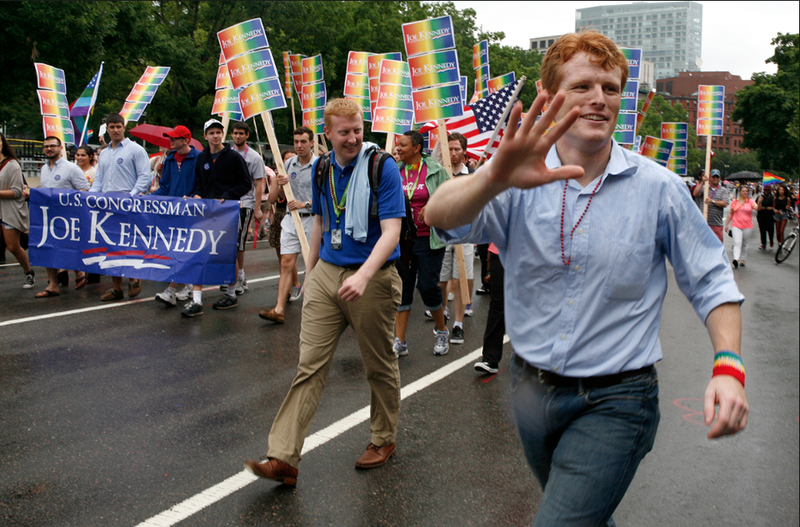 Congressman Joe Kennedy III marches in a recent Gay Pride parade in Boston. It is about how we care for the least among us -- not how we treat the powerful. There is no mercy in a policy that takes for granted the sweat, the tears, and the sacrifice that working Americans shed every day so that they might care for their families' basic needs: food, shelter, health, and hope for tomorrow. So when Speaker Ryan called his repeal bill "an act of mercy" last week, I knew I had to speak out. It is an act of malice. We, as Americans, are better than this. Every working family deserves better than this. And when millions of people have their access to health care put on the chopping block, we have to stand up to this. Tell your congressional leaders they must stop this catastrophic and merciless path toward destroying the very lifeline so many Americans depend upon. Joseph Patrick "Joe" Kennedy III (born October 4, 1980) is an American lawyer and politician, serving as the U.S. Representative for Massachusetts's 4th congressional district since 2013. He is a Democrat whose district stretches from the western suburbs of Boston to the state's South Coast. A son of former U.S. Representative Joseph P. Kennedy II, he worked as a Peace Corps volunteer and as an assistant district attorney in the Cape and Islands and Middlesex offices before his election to Congress. Kennedy is the grandson of former U.S. Attorney General Robert F. "Bobby" Kennedy and a grandnephew of former U.S. President John F. Kennedy.